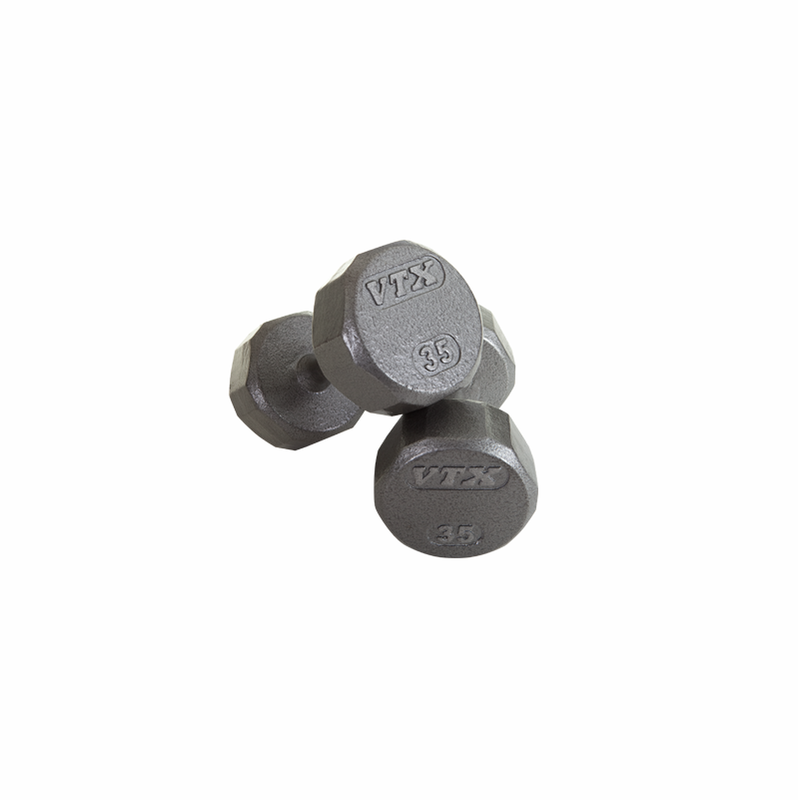 Set inlcudes a pair each of 5, 10, 15, 20, 25 and 30lb dumbbells. 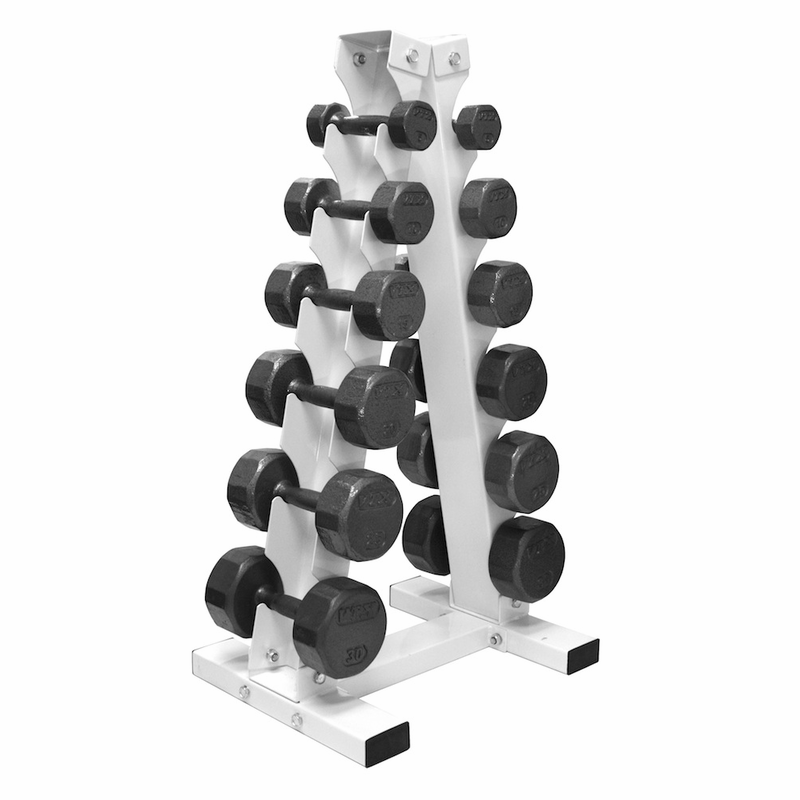 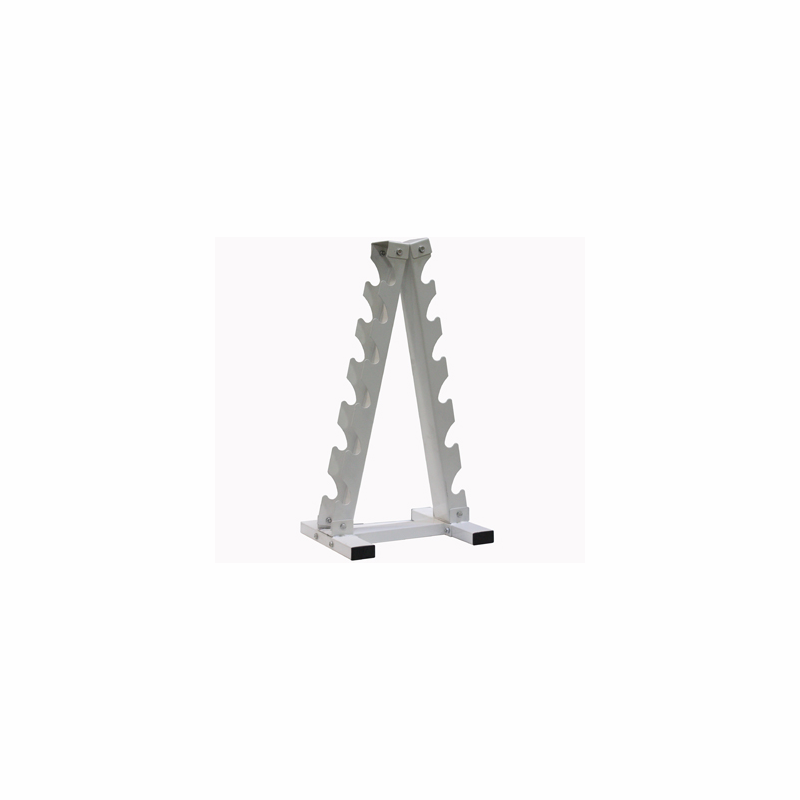 Our �A� frame 6pr dumbbell rack delivers a vertical option to the more traditional horizontal models. 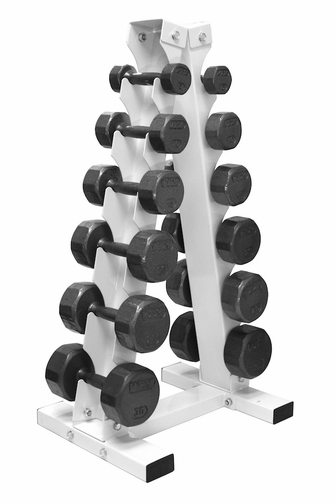 Sturdy and space efficient.